Total Defense operates on a business model based on honesty and integrity with customer service as the number one priority. Total Defense offers customers high quality product lines and services in a beautiful new 16,400 square foot building including a state of the art ten-lane indoor gun range. 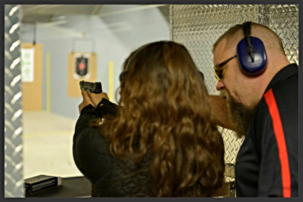 Additionally, they offer conceal and carry training classes, women's self-defense classes for groups and individuals, plus gun smithing and an impressive inventory of new, used, and consignment firearms. Visit their website for more information at mntotaldefense.com or call 763-432-6134. Total Defense is located in Ramsey, Minnesota at 6001 167th Av NW. Voucher redeemable for Permit to Carry class. Must be 21 or older to quality for Minnesota permit. Go to website to schedule your class time…mntotaldefense.com. Permit valid in Minnesota plus 26 additional states.